The London Clinic, a private hospital and charity in Harley Street, London, UK has launched surgical service to above-the-knee amputees with the aim of improving the function of the limb and reducing pain and skin-related complications. Military veterans who have suffered serious injury in combat are likely to be suitable candidates for surgery in London, when previously they have had to travel to Australia or the US for treatment. Osseointegration works by anchoring the prosthesis directly into the thigh bone, using the OPRA (Osseointegrated Prostheses for the Rehabilitation of Amputees) implant system, designed by Professor Rickard Brånemark, who is internationally acclaimed as the most experienced surgeon in this field having performed over 400 surgeries. The London Clinic is working in partnership with London International Patient Services to treat its first patient this month (November) with Osseointegration. 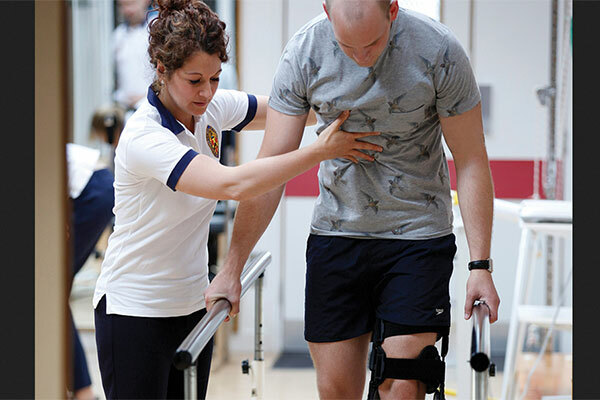 “As the prosthesis is directly connected to the bone it can dramatically improve limb function as well as patient psychology, reducing dependency, improving lifestyle and providing an opportunity to return to work and a more normal life. We are proud to be able to offer patients from the UK and abroad the opportunity to undergo osseointegration by our experienced trauma surgeons in Harley Street and lead in establishing a world-class osseointegration centre at The London Clinic,” added Culpan. In addition to Osseointegration, the service also includes bespoke hip and knee replacement surgery using tailor made implants to fit the patient and complex trauma (fractures) and plastic reconstructive surgery.